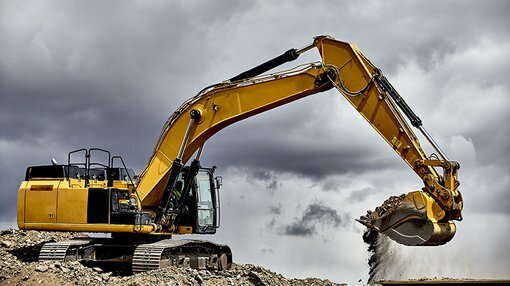 Having announced it would be entering into a sale and purchase agreement for the full acquisition of Mt Roe Mining Pty Ltd (being the holder of E47/3846 Roberts Hill Project and E45/5041 Mt Berghaus Project), Caeneus Minerals (ASX:CAD) yesterday reported it had executed a further agreement for an extension of the transaction expiry date. The new date is 28 May 2018, which concurrently is the newly agreed upon date for CAD’s agreement with RM Corporate Finance Pty Ltd for its corporate advisory mandate. The company sought both extensions to provide it with more time to hold a general meeting of shareholders following the lifting of its current suspension. This will allow CAD’s shareholders the chance to consider and vote on resolutions relating to the acquisition of Mt Roe Mining. In its most recent quarterly report released 31 January, the company provided the following updates on its portfolio of projects. During the quarter, the company undertook drilling at the Columbus Marsh project, and intersected lithium brines assaying up to 95.9mg/l for the drilled interval of 260 to 280 feet (79.24 – 85.34 meters). The single drillhole, from 200 feet (70 meters) to end of hole at 830 feet (253 metres), contained anomalous lithium with the lowest assay being 20.6g/ml for the interval 220 to 240 feet (67 to 73 meters). The interval 260 to 340 feet (79 to 103 meters) averaged 80.78g/l lithium, an encouraging result for the budding explorer. In addition to lithium, the drillhole samples were found to contain very high concentrations of boron and potassium. The interval 79 to 103 meters averaged 3,100 g/l potassium and 851 g/l boron, with the highest recorded values for potassium and boron in the drillhole being 3,800g/l and 1,360g/l respectively. Following CAD’s involvement in the Columbus Marsh project, it took steps to acquire mineral rights to the similar Rhodes Marsh area approximately 20 kilometres to the north. The company is now planning a drilling program for the site to coincide with drilling at Columbus Marsh. In a move to bolster its position in the Pilbara region, CAD acquired three further exploration licence applications in addition to its existing Pardoo project. The new tenements are considered to have potential both for conglomerate gold and ‘traditional’ gold mineralisation. The first of the acquisitions is a single exploration licence application situated approximately 40 kilometers southwest of Port Hedland — referred to as the Yule River project. The second is the Roberts Hill tenement application situated approximately 50 kilometres west-southwest of Port Hedland and adjoins ELA 47/5041, Mount Berghaus, to the northeast. The third tenement is situated only three kilometres north of De Grey Mining’s Indee gold deposit of 18.84Mt at 1.7g/t gold and 15 kilometres from the Loudens Patch conglomerate gold discovery.